Augusta Technical College is a two-year college based in Augusta, Georgia. It was founded in 1961 as Augusta Area Vocational Technical School and merged with Richmond Area Vocational School in 1966 to become Augusta Area Technical School. 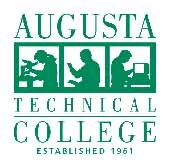 In 1987, the college was renamed Augusta Technical Institute and took its current name in 2000. Augusta Technical College offers an exciting variety of online and hybrid classes in addition to traditional lecture classes.